Should you start buying US Dollars? Not too long ago, everyone wanted to keep their money in US Dollars. With the consistent depreciation of the Philippine Peso, people thought that keeping their money in the vaunted USD was the only way for them to ensure that their money will not lose value. Today, people who kept their money in USD are scratching their heads and hoping that the value of the USD against the Peso will go on an upward trend so that they can recover their losses. Will that happen? Maybe. Will it happen soon? Not likely. A recent report in the Philippine Star even forecasted the exchange rate to further go down P 46.50 : $1. Why? It still goes back to the laws of supply and demand. The price of the once mighty green bucks has been dampened by too much supply. Just in the month of July, remittances rose by 9.3 percent from $1.4 billion in 2008 to $1.5 billion, posting the highest year-on-year growth in 2009. July influx brought remittances in the first seven months to $10 billion, up 3.8 percent from the previous year. The catastrophes of Ondoy and Pepeng are actually increasing the flow of foreign exchange pumping the supply of the USD which results to a weakened USD and a stronger Peso. The CB was so concerned with the Peso becoming too strong that it started to intervene by buying a larger share of the USD in the market. The coming holidays is expected to put an even harder pressure on the USD as supply will see a seasonal spike. 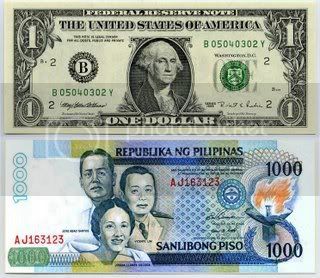 You will notice that the Peso is stronger towards the end of the year with the onslaught of remittances. However, I will strongly urge the readers to hold off any speculative purchases of the USD. The Philippine Peso might still be challenged by budget deficit concerns and weak trade figures. Further, it can be expected that the country’s inflation numbers will rise because it is expected that food prices will become more expensive due to the agricultural havoc brought about by the storms and the floods. If you need to buy USD, just buy what you need and don’t speculate … always remember the relationship of risk and return. The higher the potential return is, the higher the risk… always is, always will be. Hmmm. Jim Rogers whom I respect very much says dump the US dollars; stay away from dollar-denominated equities or investments. He’s been telling this since 2007. I think for most of us, buying dollars would not be wise. There are other currencies that are more suitable as a hedge against a PESO decline, but not USD. I agree! 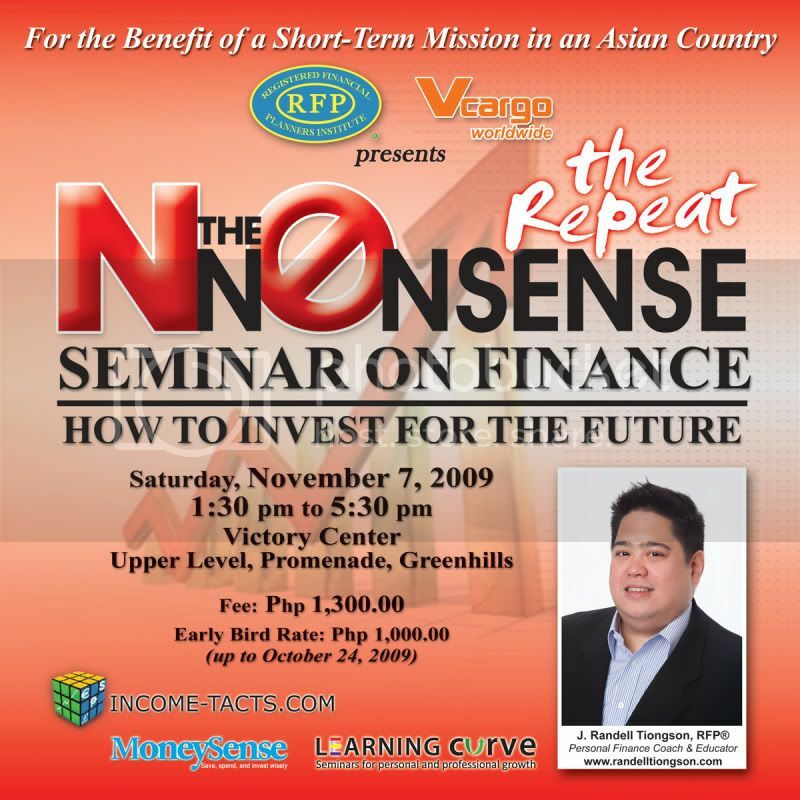 I used to keep US dollars and made huge profits specially when the dollar rate went up from P27 to P56. But when the dollar rate went up, it affected my business. In the end natalo pa rin!